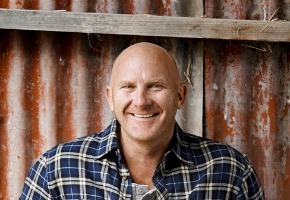 Matt Moran’s Paddock to Plate is getting another season on the LifeStyle Channel. After the first season of meeting growers, producers and farmers along the East Coast of Australia, Moran will head to South Australia and Western Australia for the second season. General Manager of The LifeStyle Channels and Foxtel’s Head of Production, Duane Hatherly, said: “Matt Moran is such a naturally charismatic individual and his genuine passion for the work of the local framers and producers created some beautiful moments in the first series. Matt Moran said: “The first season of Paddock to Plate was such an inspiring journey of discovery for me, but I feel like we only just scratched the surface on showcasing some of the amazing produce and producers that this country has to offer. Paddock to Plate is produced by ITV Studios Australia.